Hey guys, congratulations on the big launch! I couldn't find a tutorial on how to use the new glue tool in Cubism 3, is there any available? In Japanese would be fine too, I can use google translate. I tried figuring out how to work with it trough the brief video footage during the interview, but since the entire UI is different too, it's a bit hard to work out from the get go. I made quick and dirty video tutorial about how to apply the glue. before you start, you need to show "tool Details panel" in order to set the adjustment on glue or polygon itself. 3. Select the area you want to glue. Thanks! I'll try this today. I do hope there will be a more detailed tutorial in the future as the glue tools are still a but confusing to me. Hi Aida, good to hear that! Could you specify which is the glue tool that confusing you most? I'll try to explain to you. 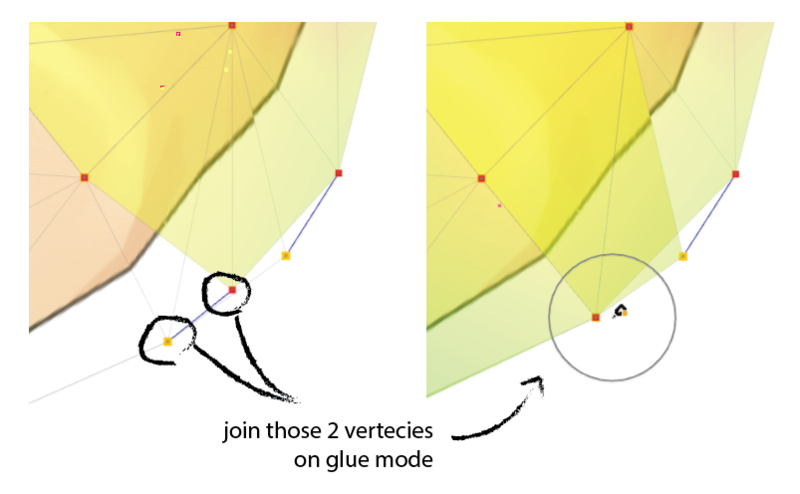 if you use the weight tool and sometimes the vertices become separated,and this tool to make those vertices join together again. I meant all those buttons in that row, not just the last one but thanks for your help!